This gent came in to see us for a new orthotic prescription. As you can imagine, or are probably aware, these cases present a challange becuase of both the anatomy and pathomechanics, especially the plantar flexed foot and loss of ankle rocker. This gent had his left foot is 20 degrees plantar flexion. He has bi-lateral rigid forefoot valgus, bi-lat. femoral retrotorsion and bi-lat. internal tibial torsion. 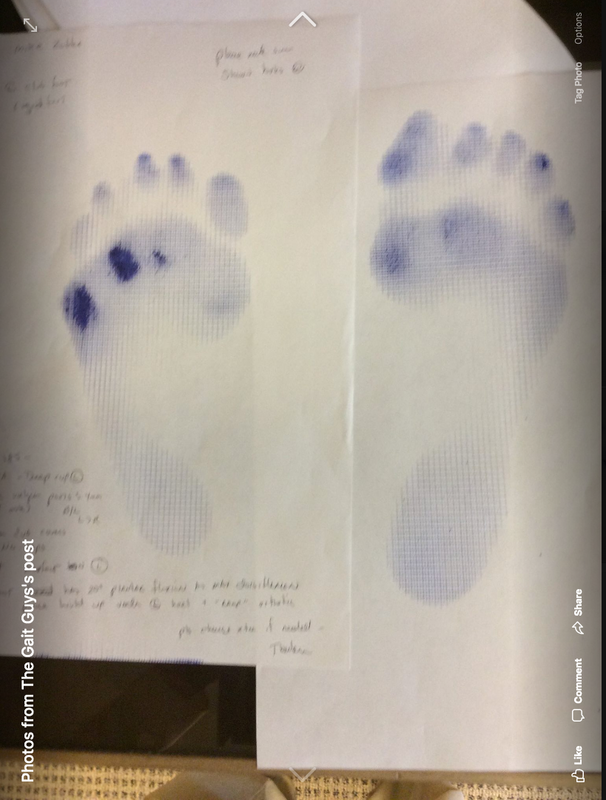 We built him an othotic with a modified UCB (deep heel cup) with 20 degrees of plantar flexion (ie ramp delta or "drop") into the left orthotic as well as bilateral forefoot valgus posts. If you would like to read up on clubfoot (or talipes equino varus, as it is called) , here is a nice, full text review. Anand A, Sala DA. Clubfoot: Etiology and treatment. Indian Journal of Orthopaedics. 2008;42(1):22-28. doi:10.4103/0019-5413.38576.